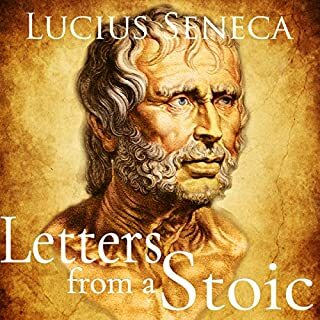 Seneca's Letters from a Stoic is considered one of the thought-leaders of philosophy in the history of classical literature. 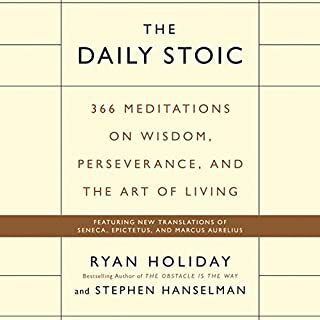 The compilation offers a comprehensive introduction to the stoic philosophy. Stoicism is Hellenistic philosophy that dominated literature and conversation until around Three AD. Its roots are traced back to ancient Greece at its founding by Zeno of Citium. 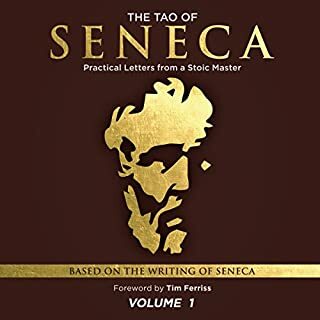 The Tao of Seneca (volumes 1-3) is an introduction to Stoic philosophy through the words of Seneca. If you study Seneca, you'll be in good company. He was popular with the educated elite of the Greco-Roman Empire, but Thomas Jefferson also had Seneca on his bedside table. Thought leaders in Silicon Valley tout the benefits of Stoicism, and NFL management, coaches, and players alike - from teams such as the Patriots and Seahawks - have embraced it. How to think clearly, act purposefully, overcome any obstacle, and find peace and happiness along the way. The Meditations is a collection of Marcus' personal journal entries. They were not intended for publication but to remind Marcus himself of his principles and priorities. As a result, they are intimate, direct, and extremely useful. This new edition is rendered in contemporary English, with a foreword by Sam Torode. Best book to live by. Marcus Aurelius was the Roman Emperor from 161 to 180 and a major Stoic philosopher. His life and philosophy have endured over the centuries in his volume, The Meditations of Marcus Aurelius. Originally written in Greek between 170 and 180, Marcus wrote this book for himself as a means of self-improvement. In its 12 sections, Marcus offers his thoughts on introspection, avoiding physical indulgences, and developing a “cosmic” perspective. Walter Covell’s magisterial but relaxed performance suits the direct style of this influential and widely cherished work of philosophy. Marcus Aurelius was Roman Emperor from 161 C.E. to his death in 180 C.E. He was destined to be a leader, having beeen born into a prominent family - one related by blood and marriage to rulers and bankers. During his era, Romans who inherited power and vast fortunes were expected to set an example. Marcus shouldered his responsibilities with a clear sense of honor. He was history's first ombudsman, and if his role as a legislator or conqueror was not great, he did set high standards for emulation. Written in the form of confessions, his meditations provide a window into his insights on duty, virtue, and humility. He was the last of the "Five Good Emperors", and is also considered one of the most important stoic philosophers. The Meditations, written on campaign between 170 and 180 C.E., is still revered as a literary monument to a government of service and duty, and it has been praised for its "exquisite accent and its infinite tenderness". In fact, John Stuart Mill, in his Utility of Religion, compared The Meditations to the "Sermon on the Mount". The Meditations are a personal notebook, written by Marcus to himself and for his own use. This is an incredibly powerful book. Some may find this recording “monotone and lifeless”. But, remember: Marcus Aurelius had a manly stoic character. He was not a tragic hero. Walter Covell’s interpretation provides a fascinating picture of a would-be Stoic sage at work on himself. In some parts, his intonation is just perfect. If you heard it multiple times, you will start noticing it. Listen to the book IV for instance. There is no way to improve it. 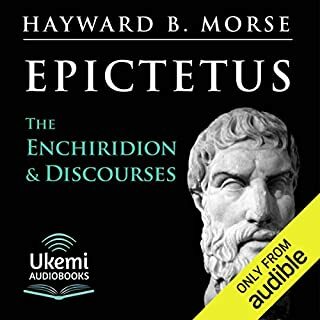 If you are looking for an introduction to stoicism, here are some suggestions: listen to the Epictetus’ Enchiridion at librivox dot org and search for “James Stockdale”. Further Reading: The Fourth Book of the Meditations of Marcus Aurelius Antoninus at archive dot org -- a commentary by H. Crossley. 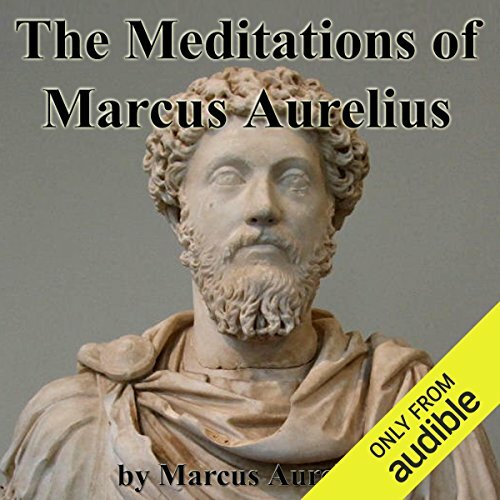 Would you listen to The Meditations of Marcus Aurelius again? Why? Yes, there are so many sentences that make great epigrams. It would be good to catch them all now that I've heard it once. On the other hand, that's what texts are for . . . It is a philosophic classic, and a seminal text in any study of stoicism. Did Walter Covell do a good job differentiating all the characters? How? He caught a good, stately presence for the emperor. He read it levelly, but there were a few places where he put some amusement into Marcus Aurelius's voice that was a welcome change. If you could give The Meditations of Marcus Aurelius a new subtitle, what would it be? No wonder this book is still around. It is easy to follow and to understand. Usually, primary sources for philosophy are too complex for me to understand, but not this one. Marcus Aurelius has a core set of beliefs and explains them for the non student of philosophy. 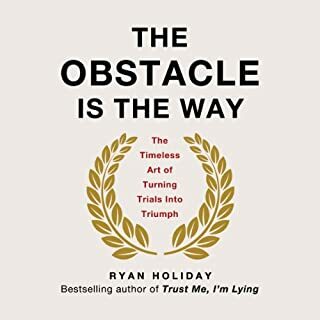 I would recommend this book for anyone who is interested in learning about stoicism. I only wish modern writers of philosophy would read this book before they write their books. The reader knew how to read and keep me interested. I was fascinated by points of contact and divergence from Christian teaching regarding natural law. very good book. easy to follow. interesting ideas. i would definately suggest it required listening for all. Was short enough to handle in a week commuting. One of those books that has a few tidbits that will stay with you. Excellent read those are words to live by. Great narration great story great everything. Great reader, great book, will be listening thru again to distinguish some of his more repeated ideas. See above. Now is the time to get help from audible if you can. Yes! Life lessons from a father. What did you love best about The Meditations of Marcus Aurelius? The narration is great. I could envision Marcus Aurelius speaking the words as they were read. Roman Stoicism is such great practical stuff. This book should be titled "All the things you should have learned from your dad but didn't". I have listened to it a couple of times now and will continue to do so. If you could sum up The Meditations of Marcus Aurelius in three words, what would they be? The emperor's meditations are still valid today as they give credit to the notion of unchangeability of human spirit. We may use his helpful knowledge to plough through a difficult day or in a wider sense as an inspiration for self improvement and pursuit of our own happiness. Read it, listen to it you shall not regret it. 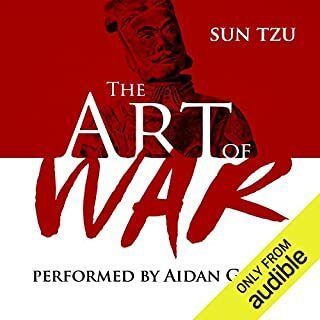 A fantastic book with allot if not all value. A very hard book to digest and not recommended for people not ready for bible like writing. The narrator struggles but who wouldn't when voice acting this fantastic piece.